On September 16, 2010, the Higher Court in Belgrade, formerly the Third Municipal Court at 15 Timocka Street, will be hearing the Case for the Rehabilitation of General Dragoljub Draza Mihailovich. It is my sincere hope that on that September day, Draza's beloved Serbia, the homeland that so many genuine Christian Serbian patriots fought and died for, finally regains her soul. To wipe out all the positive traces of his legacy from the historical record of Serbia and the Serbian people, Mihailovich’s enemies published an enormous number of books. For over half a century they were relentless in that effort. They were so successful that their lies and deceits became institutionalized in virtually every aspect of Serbia’s modern national identity. The result of their success is that today Serbia is considered a pariah among European societies, in addition to being faced with the prospect of losing her holy Christian Kosovo province to the Albanian Moslems. One of the most critical areas in which the dark forces that killed Mihailovich have succeeded has been in converting Serbia’s traditional allies into virtual enemies who then, ironically and tragically, served the ultimate ends of those dark forces by negating Serbia as a viable democracy in Europe. The dark forces who came to power in Serbia, who ruled Serbia, would ultimately be that force which would sabotage her, with the help of the democratic Allies whom she had served so faithfully in wartime. In the past, Mihailovich’s many faithful followers were in no tangible position to counteract the destruction of their beloved country or to show the world that there was another Serbia, a true Serbia. The enemy forces were too powerful and Serbia’s people were living under an imposed regime that did not permit the fundamental human political rights that would have allowed the truth to surface and be known. One road to take is to examine and define who General Draza Mihailovich really was, what he envisioned, and what Serbia lost by his death. The alternative for Serbs is to accept their ‘false history’, live as a condemned people, ignore the legacy of 800 years of Serbian statehood, and grow weaker and weaker as the years go by. The Serbs are better than that, and deserve better than that. 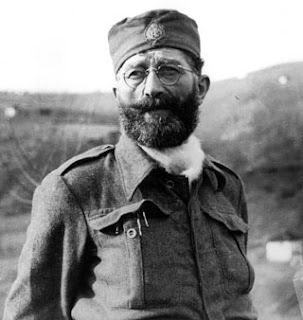 What would have happened to Serbia after World War Two had General Mihailovich prevailed and survived? We can only speculate. The one thing that I do know for sure, however, is that had he survived and had his political, ethical and moral principles been allowed to guide the evolution of post-war Serbia, she would have retained her nobility and her potential as one of the great democracies in the world.